ASTM A1085 is a spec for manufacturing hollow structural sections (HSS) that offers enhanced performance in seismic and other fatigue-related applications. Atlas Tube produces ASTM A1085 HSS in many shapes, sizes and wall thicknesses on a frequent rolling schedule, making them widely available throughout North America. See how ASTM A1085 and A500 HSS compare in terms of performance. The ASTM A1085 specification has raised the performance level of HSS to meet the demanding needs of today’s structures. That’s because ASTM A1085 HSS are made with tighter tolerances, and all shapes have the same minimum and maximum yield stress — allowing for easier design and lower costs. ASTM A1085 HSS provide a significant advantage for applications with seismic requirements (50% of all U.S. buildings), structures with dynamic loading and structures where member size matters. Specifically, engineers and contractors use them in buildings, bridges, towers, cranes, sign supports and poles, off-shore production and drilling platforms, roll-over protective structures (ROPS), falling object protective structures (FOPS), and amusement rides. See specs and more about ASTM A1085 HSS. See where ASTM A1085 HSS are currently in stock. Find resources to help you design with ASTM A1085 HSS. Think ASTM A1085 HSS for structures with dynamic loading. 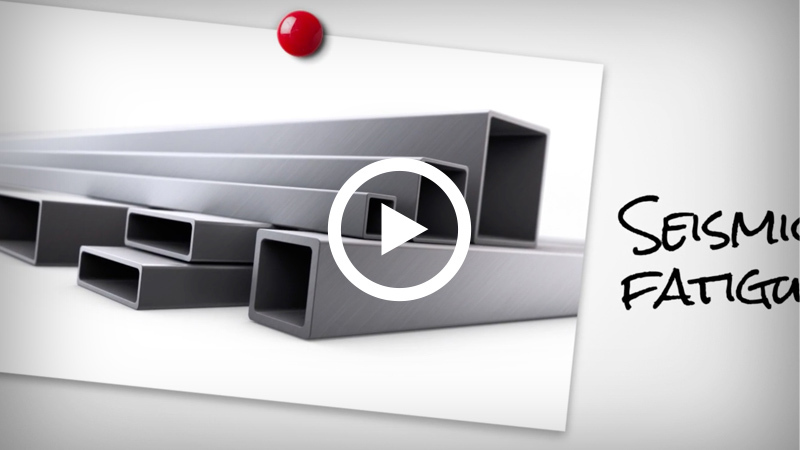 Learn more about Atlas Tube's HSS manufacturing capabilities. Introduction to HSS Connections, as explained by Brad Fletcher. Ask Atlas Tube. Our team can help with design, availability concerns and more.